What a colourful film this one was. 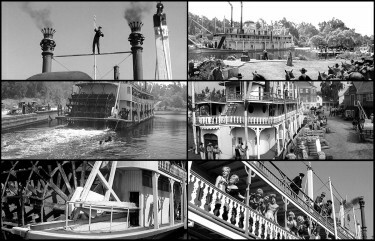 I have been over in Australia and whilst there purchased the DVD of Showboat in Cairns and watched it at my daughters home. Beautiful colour and those close ups of Ava Gardner in technicolor are just terrific. The songs which we all know are unforgettable and some of the high notes hit by Kathryn Grayson are simply superb. 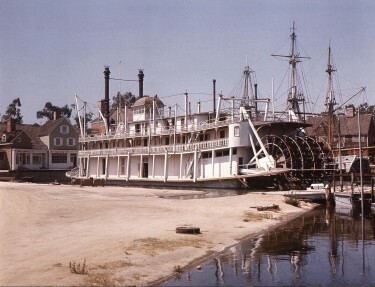 She plays the part of Magnolia very well and Howard Keel is Gaylord Ravenal - the no good gambler, and he too is good. William Warfield delivers the song ‘Old Man River’ and to be fair does it well although for me he sings it too slowly but it is a thankless task really to sing a powerful song made famous – and almost belonging to – the legendary Paul Robson who had been in the successful stage versions both on Broadway and in the West End of London. 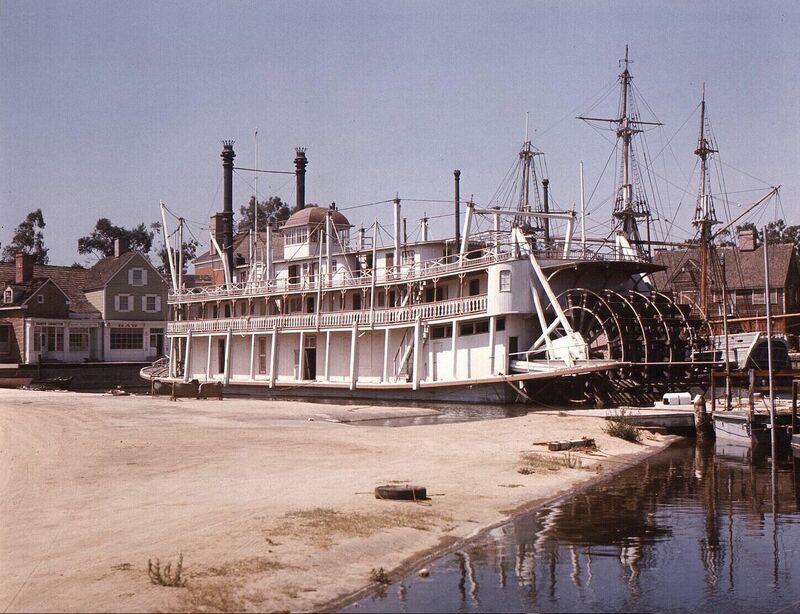 Above is the actual Showboat or The Cotton Blossom as it is on the MGM backlot. 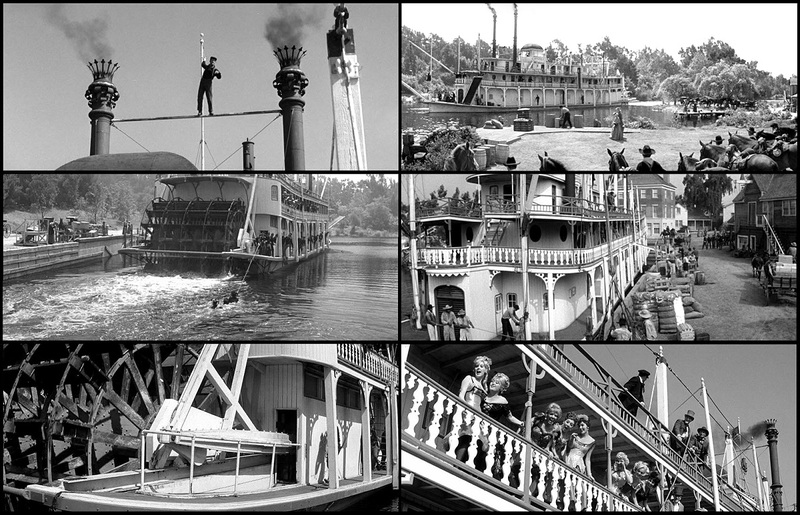 I have seen the 1936 Black and White version which I really liked and preferred in many ways. Paul Robson was of course in this film and needless to say he was superb. The film was a great success at the Box Office grossing worldwide some 7.61 million dollars and presumably the later TV release, then the video and DVD arrival would have further boosted these figures many years later.